Figure 2.20. Equipment Modification Record, DA Form 2408-5.
brake inspection and testing and then destroyed. the 862, and figure 2.23 the back. 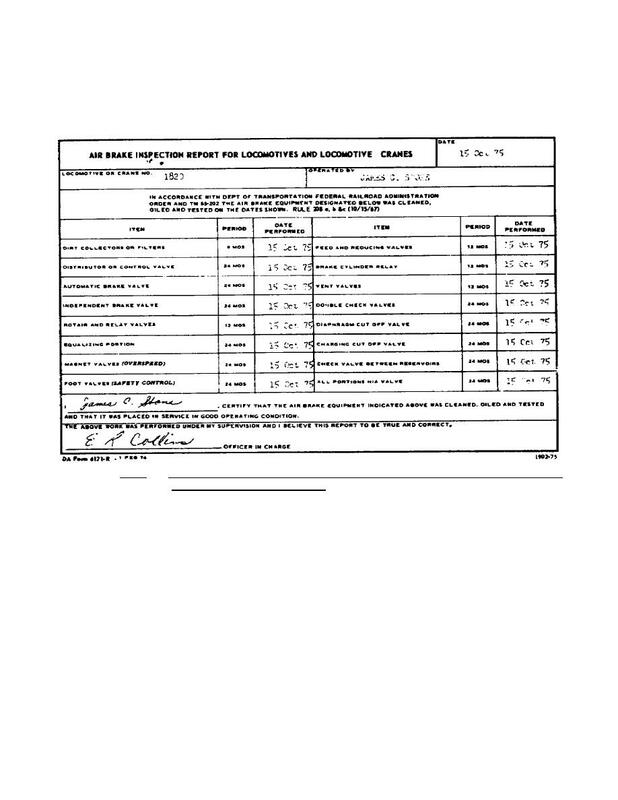 operator's report, is filled out by the locomotive engineer.